With the number of vehicles expected to reach two billion by 2030, parking structures have emerged as a transformative tool for improving the sustainability of buildings, communities and cities. Parksmart is the world’s only rating system advancing sustainable mobility through smarter parking structure design and operation, and this year, four new projects have already achieved certification, joining an elite group of forward-thinking facilities. Together, these projects are helping to improve customer experience, increase energy efficiency and reduce operational costs. 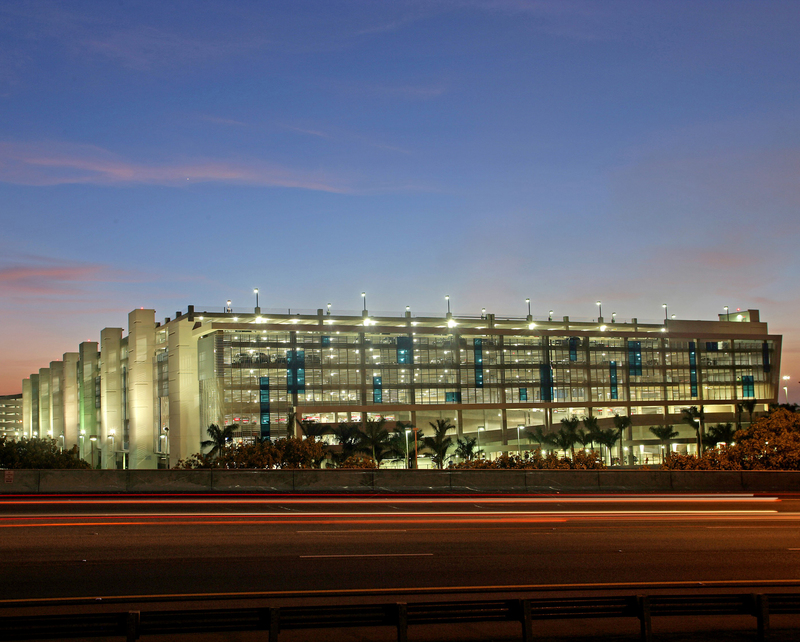 Cypress Garage is the first on-site airport parking garage in the United States to achieve Parksmart certification. The newest of three parking garages in the core of the airport campus, the facility explored new ways to improve customer experience. Before hitting the road, drivers can access the airport’s app to see parking availability and reserve a valet space, reducing the emissions that come from circling while looking for parking. Once inside, SunPass Pre Paid Toll transponders allow cars to enter and exit without stopping. Technology is also helping the Broward County Aviation Department improve parking space management and reduce emissions from cars by limiting idle time. Patrons also have access to recycling, electric vehicle charging, tire inflation and mass transit. Additional features include a runway observation deck, pet relief areas, art installations and green picnic spaces that help improve air and water quality and offer relief from the airport noise. On the operations side, the facility incorporated an advanced building management system to control HVAC, fire suppression, air quality, elevators and lighting. 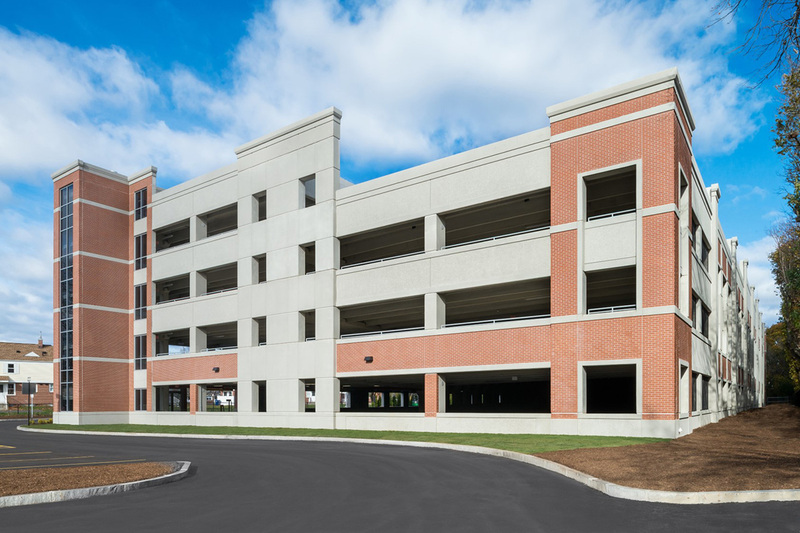 To achieve the highest and best land use for the Salem State North Campus, the Massachusetts State College Building Authority completed a siting study to determine the best location on campus for a new parking garage replacing existing surface lots. What the study revealed about traffic patterns and constructability issues informed a highly functional design, making it a truly “smart” facility. The 725-space, two-bay structure—Parksmart’s first certified new construction facility—reflects a diverse range of mobility needs. It includes a shuttle bus service, parking for multi-user and alternative fuel vehicles and free electric vehicle charging stations. In addition, over 30 percent of the materials used to construct the garage were recycled. The teams also enlisted the help of an arborist to ensure trees were properly maintained and protected during the construction. 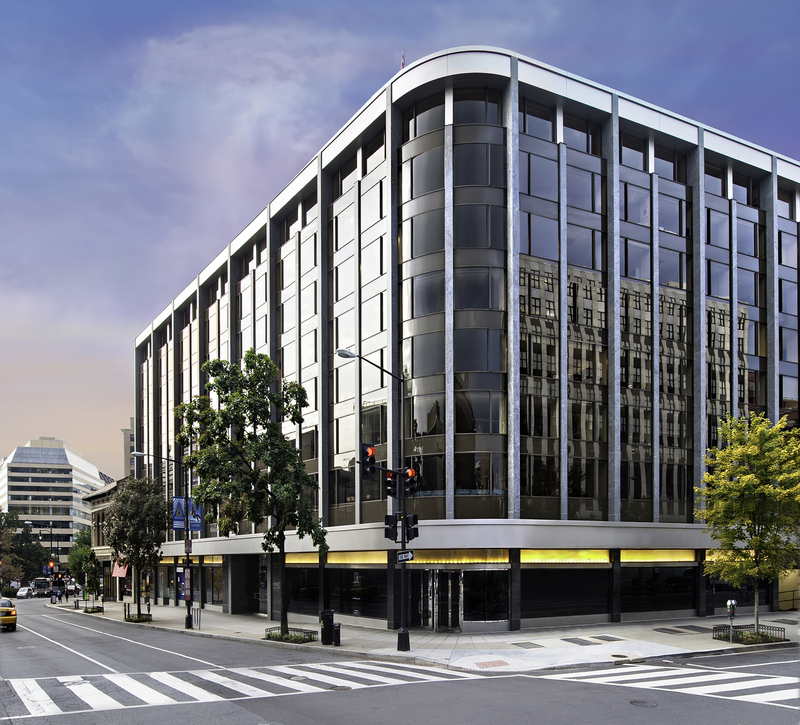 1250 Connecticut Avenue is an eight-story office building in the Dupont Circle area. The LEED Gold building hosts several businesses, and its garage supports both the building’s visitors and those enjoying the surrounding neighborhood. Located within half a mile of three Metro subway stops, 1250 Connecticut's car-share hub serves tenants, nearby residents and Metro riders. Bicycle commuters have access to a secured bike room, next to the valet stand for added security, as well as nearby locker and shower facilities. A nighttime shared parking program for patrons of area retailers and restaurants maximizes the use of the garage and minimizes the pressure to overbuild parking in the neighborhood. Electric vehicle charging is free up to four hours. A full LED lighting retrofit, including occupancy sensors, and demand-controlled ventilation with variable drive fans minimize electric consumption while maximizing light and air quality. The USG parking garage is a new structure serving a planned biomedical and engineering facility. A gateway to an expanded campus, with solar panels on the top deck and bioswales surrounding the garage, it signals USG’s commitment to sustainability. As new campus construction continues, the garage will be connected to USG facilities with a boardwalk celebrating existing woodlands and wetlands. During its construction, the team was able to divert 99.5 percent of the construction waste from landfill through recycling or reuse in the project and sourced 75 percent of the materials regionally. The project is located near mass transit, and offers discounted rates for patrons who carpool and use fuel-efficient vehicles. Cyclists who use the garage will also have access to covered bike racks and a self-service maintenance station. The garage generates 35 percent of its energy on-site through photovoltaic panels on the roof. A rain garden surrounding the garage helps to treat storm water runoff and native plants, and drought-resistant landscaping was incorporated to elevate the value of the land around the garage.